The Engineering faculty members are involved with outreach and education projects that reach out to K-12 students and teachers in the local communities. The information here provides a brief overview of these efforts. The Verizon Foundation has partnered with Hampton University to implement a program for the development of technology skills and entrepreneurship for middle school minority males in Hampton Roads, Virginia as part of their Verizon Innovative Learning program. During summer, the program provides next-generation technology and entrepreneurship courses to local minority male students in middle school on the Hampton University campus. The program cultivates interest in STEM education and helps students prepare for future jobs in Science, Technology, Engineering and Mathematics (STEM). - Summer Enrichment Camp – The 3-week summer camp will be held on the HU campus June 17th through July 5th. 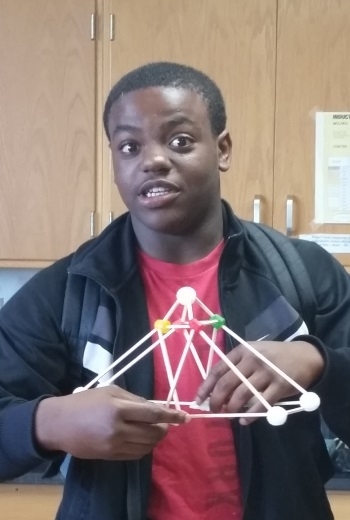 - Saturday STEM Academy – The Saturday STEM Academy will be held one Saturday per month (September 2019 through April 2020). - Mentor/Mentee Pairing – Students will be paired with a mentor and assigned a peer team for the duration of the Program. To pre-register for the program please click here and you can download the application here. For more information, please contact Ms. Marci Turner.